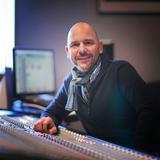 Goetz Botzenhardt is an award-winning German producer and mixing engineer whose credits include The Pet Shop Boys, Faithless, the Sugababes, Ella Eyre and Utada Hikaru. He also mixes audio for film & TV including Steve Jobs, and Under The Skin. In this course Goetz offers "A plugin for your BRAIN." Over two and a half hours he explains the secrets and methods used produce chart-topping tracks, concentrating on how to professionally mix and EQ a track. The course includes 2 assignments and 2 challenges where you get to take the reigns on a mix with 1-to-1 support and feedback from Goetz to help you nail the task and improve. Goetz will walk you through his entire workflow, covering how he uses racks, effects, busses, EQ, Compression, and Reverb. You get access to Goetz's Pro Tools stems for the track 'Dare' by Tileyard Artist Tiggy. Though the course is applicable whether you're using Pro-Tools or any other DAW. The course fee includes a personalised piece of feedback on a mix you send to Goetz. Delivered in the form of a video message from Goetz to you. You can use this for feedback on your own mix, or you can remix the Goetz stems provided. Whether you're a beginner or an advanced mix engineer this course is for you. Nothing beats sitting next to a seasoned pro, watching him work his magic to lift a song and make a slamming pop track. CHALLENGE #2: GET CREATIVE AND MIX "IF YOU DARE"!